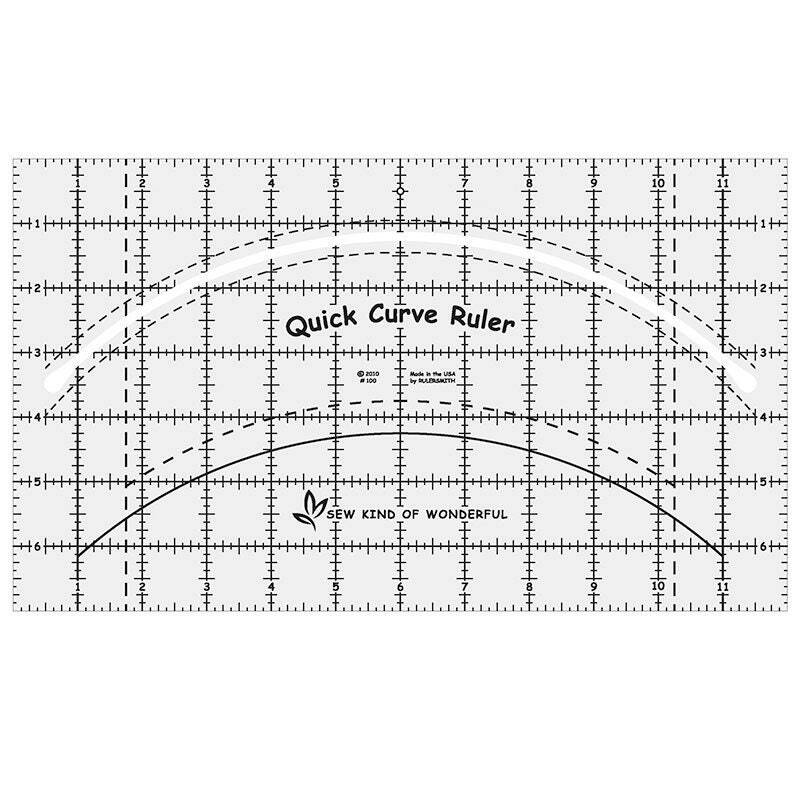 Quick Curve Ruler - Sew Kind of Wonderful - Quilting Tool - 7" x 12"
This 7" x 12" ruler is used for cutting curves and to square the blocks up after piecing. It is made from quality acrylic with a curve cut out where your rotary blade of any size will fit into it. Comes with a free pattern called "Urban Runner". Works with all Sew Kind of Wonderful patterns.